It can sometimes happen that a creditor wins a judgment against a debtor in court. But then the debtor claims he or she does not have the means (usually cash) to satisfy the debt outright. In this case, a creditor has the option of attaching a claim on the debtor’s assets. This is one of the first steps in their effort to collect on the debt. The creditor may win a judgement. But a court-ordered judgment does not automatically turn over the debtor’s assets. The creditor must take action to satisfy or discharge the debt. That is why it is important for you to know what assets can be seized by a judgment creditor. 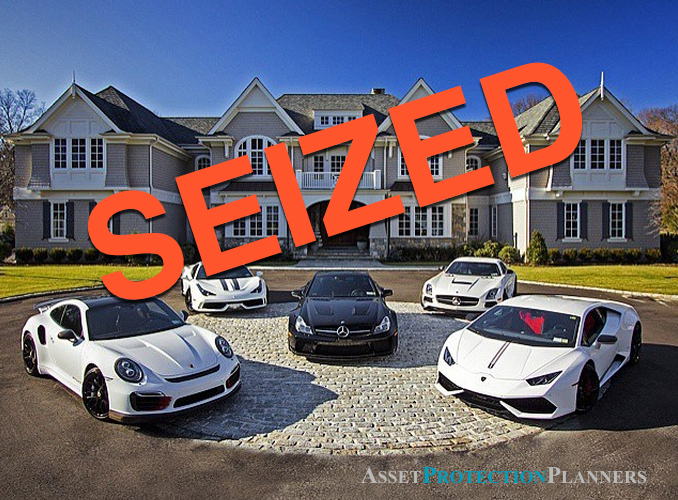 You should inform yourself about asset protection strategies that you can use to make asset forfeiture very unlikely. Judgment in hand, a creditor has a number of options that they can pursue. First they need to discover exactly what assets can be seized in a lawsuit. So, further steps are taken. One of the most commonly explored avenues of asset or property discovery is the judgment debtor’s examination. In this proceeding, the onus of unearthing assets or properties that can be seized falls on the creditor. It is important for a debtor to understand that assets or properties can mean more than physical property (such as a house or a vehicle). Neither are they limited to that which the debtor currently owns or controls. It can indeed refer to future properties or assets, expected but as yet non-existent. Despite the far-reaching (almost all-encompassing) definition of property in this case, each state offers a debtor certain exemptions. These fall within certain value limits. If these assets are all that remain in the debtor’s possession the exemptions can render the judgment virtually hollow. In addition to certain state-sanctioned assets that are exempt from judgments, there are legal ways to protect one’s assets. This is especially comforting to know when the judgment (hard-won though it may be) arises from a frivolous lawsuit or a predatory claim. It is up to the creditor – not the court – to collect on a judgment that he or she received. The creditor must first find out what assets a debtor has that he or she can use to satisfy the obligation (assuming the debtor pleads to lack of funds). To do this, a creditor must request a Motion for Examination of Judgment Debtor. This is important because a judge signing it and a creditor serving it obliges a debtor. They must appear at the examination or risk being held for contempt by the court. At the judgment debtor examination, the debtor will be placed under oath. This means he or she must answer the creditor’s questions truthfully or risk perjuring themselves. Perjury can carry a heavy fine or even jail time. However, a debtor is not under a legal obligation to volunteer any information about his or her assets. A creditor must ask the right questions. After the procedure, the creditor must file another motion in court. Only then will they be able to attach a claim to the debtor’s assets or properties that are not exempted by the state. When mentioning ‘property,’ most people (perhaps including you) think only of real estate. They may consider such as the house where they live, or things they own, such as a car or a boat, or cold cash. But property, especially in court cases, can also mean a person’s salary. It includes deposit accounts, stocks and bonds, IRA accounts and other similar types of assets. 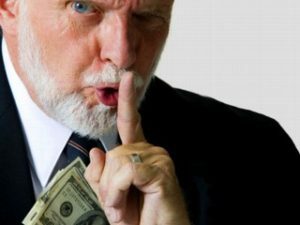 Don’t think that just because you don’t own the house where you live, or have no car, or any such type of tangible asset, or have a ton of money in the bank, that a creditor has nothing ‘to take’ from you. A cunning and determined creditor can attach a claim to just about anything you own. This includes properties that you would not have even thought were vulnerable to seizure in a judgement. There are exemptions, of course, and these vary greatly from state to state. For instance, most jurisdictions will allow a creditor to attach your primary dwelling to a court judgement. But even in this matter, there are legal nuances that can mitigate each case; meaning it’s possible to lose your house to a creditor in most states. Once you learn you have a lawsuit filed against you, it’s important to educate yourself about the laws in your state regarding your rights as a debtor. Understand what a creditor may be entitled to should he or she win the case against you in court. You’ll likely realize you stand to lose more than you first thought. That is, you actually have assets that can be attached to a judgement. 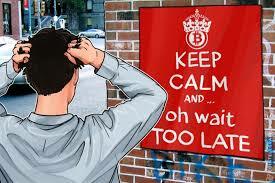 Perhaps then, if you have not done so, you will take action on protecting your assets. The time to try to convince a plaintiff to be considerate of your situation is before a trial, not after. This is especially when he or she wins a judgment against you. So by putting your assets in the proper legal tools, such as an international LLC and/or offshore asset protection trust, you put yourself in a position of strength. When negotiating a settlement you will have the power. On the other hand, you may decide to hunker down in the asset protection bomb shelter. You may just decide to set up bulletproof legal tools and not let them get anything at all. While it may be difficult to imagine, a creditor going after a property you do not yet own, this happens often enough in these types of cases. Again, it helps to understand that property does not just refer to a tangible asset. You may receive commissions as part of your compensation at work. The creditor can attach your future commissions to the judgment against you. A judgment can also seize royalties (from a book or film or some other type of creative work). The same is true for tax refunds. It also includes insurance payouts. In some cases, even means income from certain types of trusts or dividends from company shares. Stocks options, as long as they are fully vested and assignable, is considered future property too. Therefore, a creditor can attach them to a judgment as well. None of this happens automatically, of course. A creditor has to know what type of assets you own by asking the right questions during the debtor examination. Because as a debtor you will be under oath during this procedure, you must answer all questions put before you as truthfully as you can. Lying under oath can lead to a charge of perjury. So, should you be caught in a lie, this can cause a whole new set of (bigger) problems for you. Keep in mind, however, that telling the truth does not mean volunteering information that that was not sought in the first place. Having won a judgment against you, it is the creditor’s task (not yours or the court’s). It is up to them to find out precisely how they can enforce the judgment in terms of unearthing the assets that they can legally attach with the judgment. There are certain professions that carry a high risk of litigation. These include careers such as medicine (think malpractice suits) or even financial planning (“wrong” investment advice). However, it is beginning to seem lately that almost any profession can be considered high risk for abusive lawsuits. If you’re working in this type of field, or even if you’re not, you likely just want to make sure the assets you have worked so hard for do not fall into the clutches of predatory litigants. So, you should consider an asset protection strategy. The best time to initiate an asset protection plan is before someone files a lawsuit against you, of course. But even after you’ve been named as a defendant in a lawsuit, you can learn how to protect your assets and then act. It may limit your options at that point (after someone files a lawsuit against you), but they are no less effective. No one is being advised to willfully squelch on a legitimate debt or defraud another individual. However, you are within your rights to do everything legally possible to secure the assets that you worked hard for and rightfully belong to you (and whoever you may wish to bequeath them to). Creditors who have won a judgment against a debtor may soon find that seizing assets or properties after a lawsuit is not as straightforward as it may seem. The judgment debtor examination generally yields a trove of assets and properties to which a creditor is entitled. But this is only true if he or she can uncover them by asking the right questions of the debtor. Even under oath, a debtor is only obliged to answer truthfully. They don’t need to volunteer information. Properties a creditor can seize include tangible assets, such as vehicles, houses, stocks, and company shares. They can also include future assets a debtor expects to receive such as commissions, insurance payouts, and royalties. The attorney questioning you will very likely discover these assets. Every state has a list of assets or properties that are exempt from seizure. This can give a debtor a bit of relief. However, the best way to protect your assets from judgements is to have an asset protection plan. And it is best if it is in place before a plaintiff lodges a lawsuit against you. There are a number of financial vehicles and instruments that can help safeguard your assets. These include domestic and offshore trusts and limited liability companies or LLCs, to name just two options. In extreme cases, no asset protection instrument is 100 percent impenetrable (especially for determined creditors with deep pockets). Nevertheless, having one or more legal tool in place may just prove to be enough of a deterrent for creditors who have a legitimate claim and a big ax to grind.